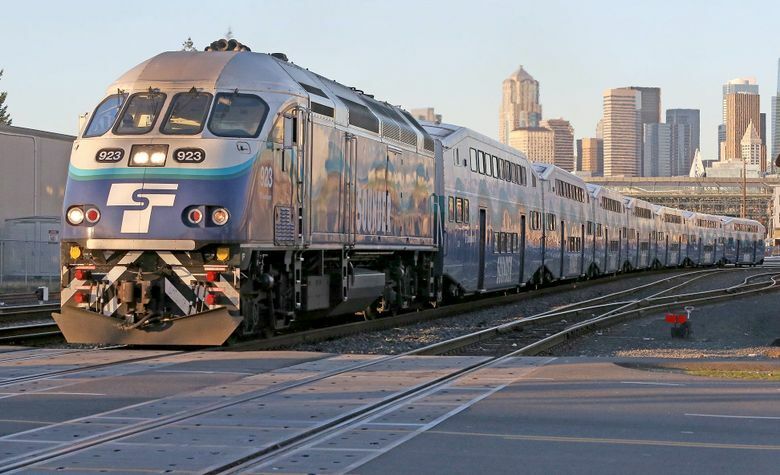 Sounder train engineers are currently able to launch and use the positive train control system (PTC) on 56 percent of train trips, the agency said Wednesday. Some 18,000 people each weekday ride Sounder commuter trains that for years lacked automated crash-prevention systems that are routine in Europe and Japan. Better protection is slowly on its way. Most of Sound Transit’s 41 locomotives and cab-control cars have been carrying passengers for months under a satellite-based positive train control (PTC) network, through a 74-mile territory from Everett to Seattle to Tacoma. However, the final startup has been full of complications. 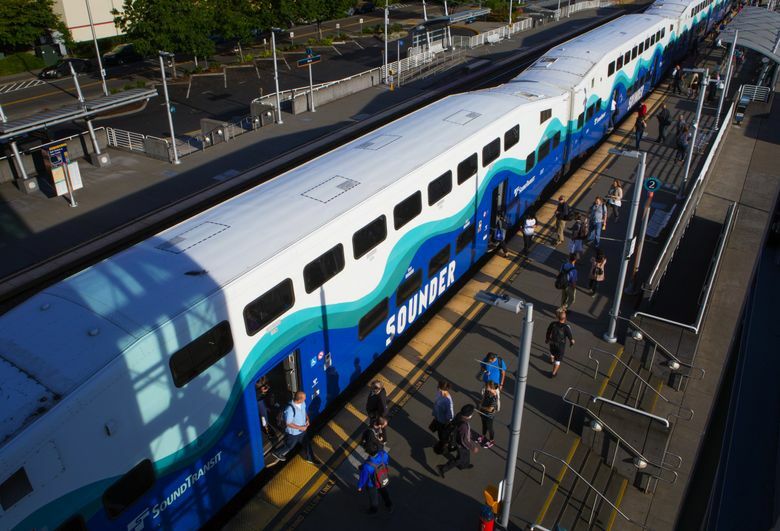 Sounder train engineers are currently able to launch and use PTC on 56 percent of train trips, the agency said Wednesday. 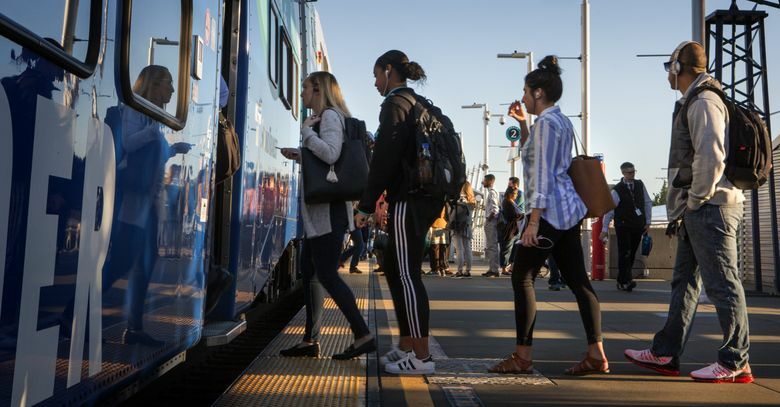 “Because this is a new deployment, there are technical issues to improve the number of successful trips,” said Peter Brown, director of integration and systems engineering for Sound Transit. Automated train control systems returned as an urgent public-safety issue after Monday’s derailment of an Amtrak Cascades train at a curve north of Olympia, killing three and injuring dozens of passengers and crew. Amtrak doesn’t run on PTC yet on that stretch of track. CEO Richard Anderson called the crash “a wake-up call” while apologizing to victims this week at a news conference. He said that PTC in the area is on schedule to operate by next year. The system would have automatically slowed the train and probably averted the crash, say some experts, including Deborah Hersman, former National Transportation Safety Board (NTSB) chairwoman. NTSB said the same after a 1993 head-on crash between two freight trains that killed five crewmen in Kelso, Cowlitz County, after an engineer missed a stop signal. Congress finally demanded in 2008 that PTC be installed nationwide, after a crash that killed 25 commuter-train riders near Los Angeles. Congress set a 2015 deadline for completion, but later stretched it to Dec. 31, 2018. Locally and nationally, upgrades are long overdue. The NTSB has argued nearly 40 years for PTC. Local politicians on the Sound Transit board approved a $37 million contract in 2013 to equip Sounder locomotives with PTC, and fund equipment on trackway the agency owns from Tacoma to Lakewood. Sound Transit’s own projects played a role in PTC not being launched by now south of Tacoma, officials said. The transit board decided in 2015 to build a new trestle and additional track, which were just completed this year near Tacoma Dome Station. That required adjusting PTC equipment Sound Transit had already installed in the Tacoma area, Brown said. Also this year, new passenger rails were built south to DuPont, where PTC testing is underway. Crews have been adjusting trackside devices as recently as this week, Brown said. When an engineer begins a trip at Everett Station, for instance, he or she turns on the locomotive-based PTC system, which include a dashboard-display screen. 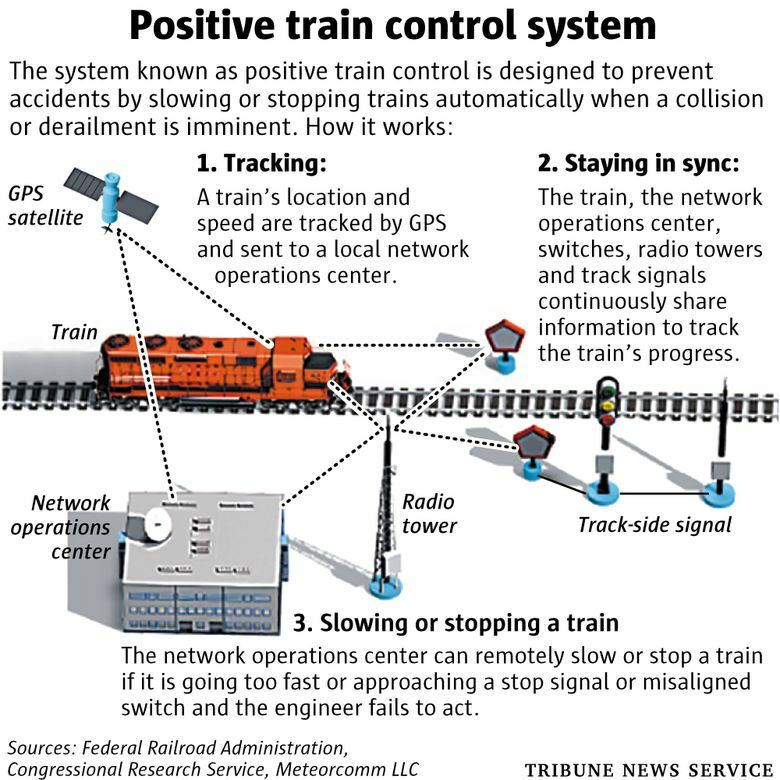 If the PTC connection fails, the engineer calls the BNSF Railway nerve enter in Fort Worth, Texas, and proceeds under decades-old standards that rely on track signals, special operating rules and the skill of the crew. BNSF owns nearly all Western Washington mainline track and controls all the region’s passenger and freight dispatching, including for Amtrak trains. When PTC is active, satellites and software continually calculate safe braking distances. When a stop signal, obstacle, curve or slow crossing looms ahead, the display in the locomotive shows a yellow line and beeps an alert, a BNSF video shows. If a train doesn’t slow, PTC would take control and bring it to a stop. Amtrak Cascades 501 on Monday morning hit the curve at 80 mph and jumped the rails, instead of slowing to the 30 mph posted limit, the NTSB confirmed. But he also warned it was the biggest technological change in the railroad industry since the advent of diesel locomotives. This week, agency executives say they have a good relationship with BNSF and say it would be unfair to accuse partners of stalling. “The industry as a whole was not ready to implement PTC because of all technical challenges,” said Ahmad Fazel, Sound Transit’s top executive for project delivery. PTC for the Sounder line’s 8½-mile stretch from Tacoma to Lakewood is on track to be operational “by June 2018, six months or more ahead of the federal deadline,” said former transit-board Chairman Dow Constantine, King County executive. As for the rest of the state, BNSF says the technology is “fully implemented” on all the main freight routes in Washington, said spokesman Gus Melonas. Its federal reports say that PTC-equpped trains launched passenger service this fall in Chicago and Southern California (Metrolink).